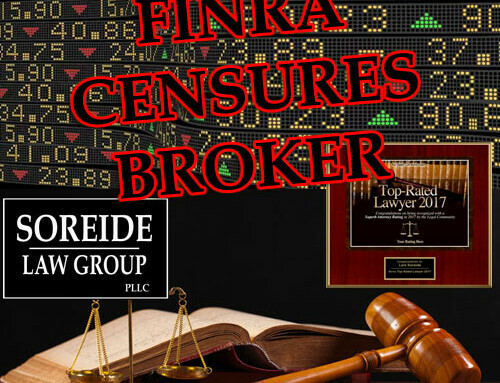 FINRA Fines Laidlaw & Company Ltd.
Laidlaw & Company Ltd. (CRD #119037, New York, New York) is a broker-dealer registered with the Financial Industry Regulatory Authority (“FINRA”) that submitted a Letter of Acceptance, Waiver and Consent, resulting in FINRA imposing a censure and $25,000.00 fine to resolve allegations that Laidlaw failed to supervise its registered representatives’ non-traditional exchange traded fund recommendations, in violation of NASD Rule 3010 and FINRA Rules 3110 and 2010. (Letter of Acceptance, Waiver and Consent #2015043362701, May 1, 2018). Laidlaw & Company Fined by FINRA. The AWC stated that Laidlaw’s registered representatives sold non-traditional exchange traded funds (“non-traditional ETFs”) – investments designed to “return a multiple of an underlying index or benchmark, the inverse of that benchmark, or both, over the course of one trading session.” FINRA evidently advised firms including Laidlaw about the risks and complexity of non-traditional ETFs, warning that those products are often not suitable for investors planning to hold them for longer than a trading session. The AWC stated that from April 2013 to December of 2015, 869 purchases and 946 sales of non-traditional ETFs had been solicited by Laidlaw registered representatives in 312 Laidlaw customer accounts. The principal value of those transactions exceeded $32,000,000.00. FINRA found that Laidlaw lacked a reasonable supervisory system because Laidlaw was not equipped for its supervisors to review the non-traditional ETF transactions executed in the customers’ accounts. The AWC stated that the firm’s written procedures did not mandate a review by supervisors of the existing non-traditional ETFs held by customers for lengthy periods. The supervisors were also not required by the written procedures to review when existing ETFs caused unrealized losses. The findings confirmed that supervisory procedures did not serve to limit registered representatives from being able to make recommendations regarding non-traditional ETF trading. In addition, FINRA stated that Laidlaw initially depended on supervisors to manually review possibly unsuitable transactions; no exception report was used by the firm until July 2015. Even when the exception report was used, it failed to inform Laidlaw of non-traditional ETF holding periods. FINRA found that Liadlaw’s supervisory system was inadequate at ensuring that non-traditional ETF sales were effected in a manner that was compliant with securities laws, NASD rules and FINRA rules. Soreide Law Group currently has two FINRA actions pending against Laidlaw one of which involves the sale of leveraged ETFs. According to FINRA BrokerCheck, this is the fifth time that Laidlaw has been subject of a regulatory action by a securities regulator. 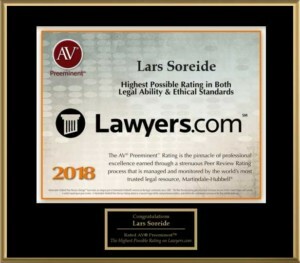 If you have suffered losses by investing in non-traditional ETFs through Laidlaw & Company Ltd., contact Soreide Law Group at (888) 760-6552 for a free consultation. Our firm has recovered several million dollars for investors that sustained losses from broker and brokerage firm misconduct. We represent clients on a contingency fee basis and advance all costs. We handle FINRA arbitrations nationwide and have handled over 500 FINRA arbitration.